Read our helpful guide to second hand Alfa Romeo GTV. AA Cars works closely with thousands of UK used car dealers to bring you one of the largest selections of Alfa Romeo GTV cars on the market. You can also browse Alfa Romeo dealers to find a second hand car close to you today. 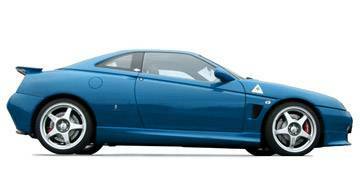 All used Alfa Romeo GTV on the AA Cars website come with free 12 months breakdown cover. Typically Alfa in its looks, the slick and stylish GTV is a classic sports coupé, and although no longer in production, remains an iconic, classy car. Beyond the looks there are powerful engines to choose from, of which the 3.2 litre V6 offers the most ferocious, range-topping performance (240bhp). Tight handling and a satisfying engine roar make it mostly a joy to take onto the open road, but ride and suspension - especially on unloved British roads - can leave it a touch on the uncomfortable side. Inside there are two back seats, but these are really only for small children or compact luggage, which is also true of the boot (although not when it comes to the children!). Like many Alfa Romeos, the GTV is an attractive and enticing car for the enthusiasts, but isn?t the most reliable nor the most practical choice. Definitely one for the heart and not the head.